Calisthenics for Kiss! 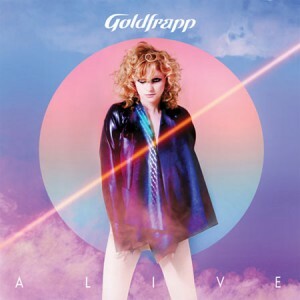 That’s what appears to be happening in the clip to the brand new Goldfrapp single ‘Alive’. Little Alison’s up there with her headset, ready to belt out the number and along come some unlikely looking types who appear headed to a Kiss concert. Cue a couple of Xanadu-esque digital effects and a couple of leotard-clad dancers appear – but they turn out to be disco vampires. We’re hooked.